Our forests come alive this time of year with swelling buds, new leaves, and a carpet of wildflowers. Forests are energy factories. This new growth attracts insects, which appear at just the right time to feed waves of migrant songbirds like northern orioles and scarlet tanagers, returning from their winter ranges. Young fox and grey squirrels begin to explore the outside world. 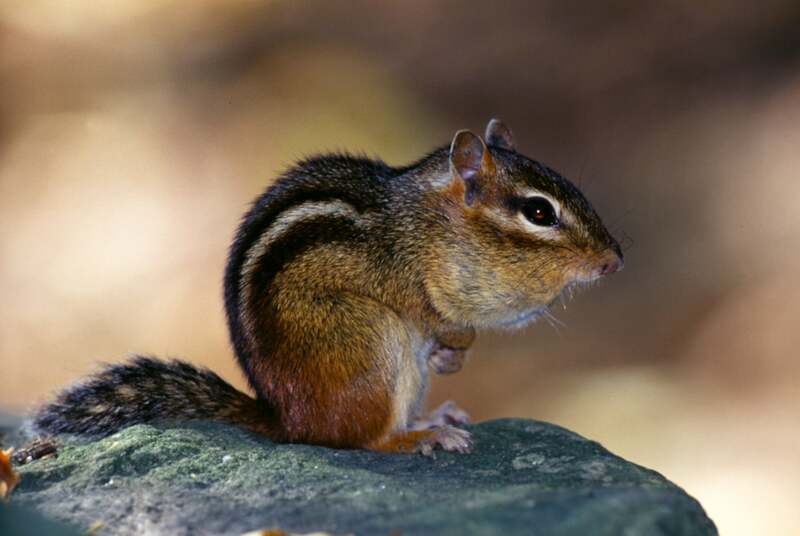 Chipmunks emerge from hibernation and gray tree frogs call and lay eggs in temporary pools of water. Wildflowers take center stage on the forest floor. Bloodroot and other spring beauties bask in the sunlight filtering through the budding canopy. Redbud, dogwood, and spicebush flowers provide color and contrast. Watch bloodroot blooms stretch upward in the time-lapse video below. You can enjoy the colors, contrasts and energy by hiking forest trails. Watch a video below from a recent hike in Rockwoods Reservation in St. Louis county. Find a favorite forest to visit with the new MO Outdoors app. A bloodroot is a stemless, early spring woodland wildflower. This perennial plant grows from thick, rootlike rhizomes. It often grows in colonies. Bloodroot leaves are distinctive. By midsummer, they wither and the plant goes dormant. Its pure white petals are even more remarkable given the plant’s bright red sap. For more on the bloodroot, visit MDC’s Field Guide.